With this heat wave the Cicadas have been screaming somewhere in my vicinity. They are an interesting insect. 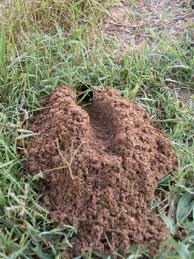 In some varieties the nymphs burrow into the ground for two to five years, some even seventeen years. They all come out like the Pied Piper was leading them somewhere. Their predators don’t have a life-cycle that coincides with theirs so they can survive to serenade you and me. I remember listening to them when I was in the hospital. My friend Ed informed me of their significance. Like insects our dark moments can be a prelude to a metamorphosis. Off and on I spent a couple of decades in a darkness not of my own choosing. None of it seemed natural but possibly it was. I wasn’t joined by droves in similar circumstances. 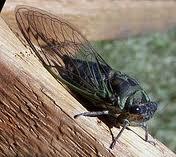 Had I been a Cicada I might have taken comfort in the fact that there were others buried with me. It often seemed to be just Ed and myself. I can’t argue that it was a prelude to something better. Some of what I lost needed to be lost. When we are stripped of most of what we recognize, we are in fact given a gift. When we emerge we have the unique ability to make choices. As I was left with little I could choose once again what to fill my life with; I had the freedom to metamorphosize though many other freedoms were denied. I chose to surround myself with better people and undertake things that provided personal meaning. Hopefully my acts are less self-centered than they once were. I am more conscious than I ever was and attempt to occupy myself with endeavors that also benefit others. My bank account reflects this but money can sometimes be difficult to emerge from itself. Migrating from purchase to purchase can be like standing still. When you are beneath the “material” there is no view and subsequently little perspective. I’m not sure I feel like something singing from a tree but I do not feel buried. To be embedded in turmoil and pain can seem like a curse in the moment. When I was able to emerge I cannot put into words how sweet even the air was. I was able to see and experience things I was unable to before. I remember my first trip into London after several years from home. The skyline was like New York, I was in awe and inspired. Obviously I wasn’t given much of a different view. Some of the people and places in my life were exactly the same as before I was submerged. 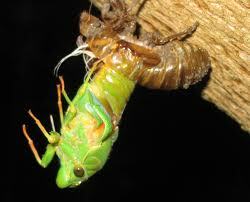 In some strange fashion I did metamorphosize and in doing so I gained a perspective that was quite different. Some of my life is like getting a new television. The channels may be the same but the picture is a welcome improvement. When you can’t see your children for over a decade every child you see reminds you of your loss. On some of my weekly passes I came into contact with a relative’s daughter who was the same age as mine. I had no idea what my daughter might even look like. In my sadness I was still able to share my life with this individual as I would have had she been my own daughter. Like the song says “if you can’t be with the one you love, love the one you’re with.” We often don’t get the opportunities we would choose but we are given opportunities. I could easily stare at the Hole I emerged from. I could curse the sky for what I lost and endured but that would only cloud what I have gained. I would not have a song to offer if I considered what I now have as second rate. I wouldn’t have chosen some of the people who are in my life but now that the choice is mine again I would not trade a single one. This entry was posted in Mental Health, Observations, Perspective, Suffering and tagged bipolar, cicada, conscious, darkness, depression, family, forensic, friends, Grace, hospital, incarceration, journey, life-cycle, loss, love, meaning, mental health, metamorphosis, misconceptions, opportunities, perception, perspective, prisoner, significance, treatment, trust, turmoil by brettbatten. Bookmark the permalink. I’m pleased to know my post is the cause of some reflection. Hopefully you can see some good behind things but even better if you can see some good ahead. It’s a long flight so you better say if I should be leaving now. 🙂 And yes I can see good in the future (on a good day) and I’m starting realise that good can come from bad.